Provides skin care, sun care plus coverage with effortless application. 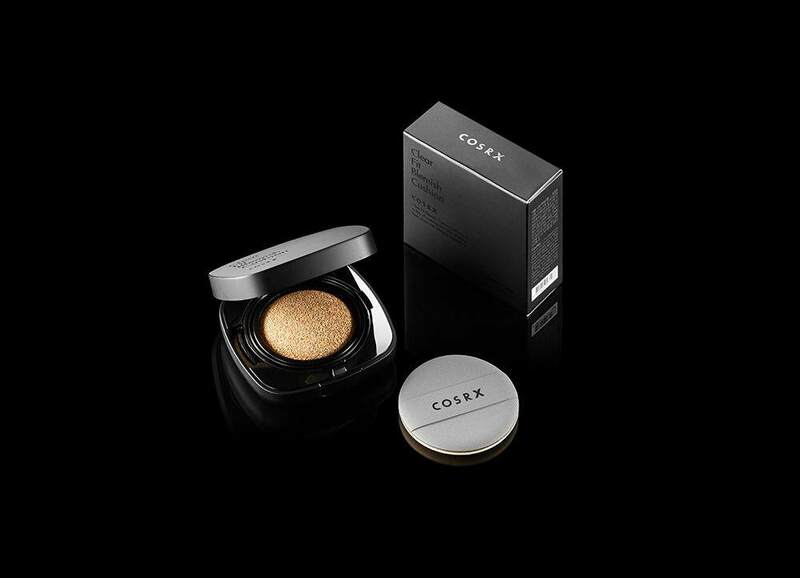 New from Cosrx, Clear Fit Blemish Cushion is a multifunctional cushion foundation that provides skin care, sun care plus coverage with effortless application. Great for all skin types, especially for those with sensitive, oily or acne-prone skin, this cushion offers a naturally flawless finish that lasts all day. The star ingredient, centella asiatica, is rich in skin-benefitting vitamins, niacin and carotene to keep skin looking bright and youthful. Niacinamide and adenosine further provide anti-aging and skin-healing benefits. Powerful broad spectrum SPF 47 PA++ defends against harmful UVA and UVB rays without the white cast or greasiness. Housed in the Mochi cushion, a unique Korean cushion technology that pumps the content only when it’s pressed, keeping the product fresher longer. Available in two beautiful beige shades. 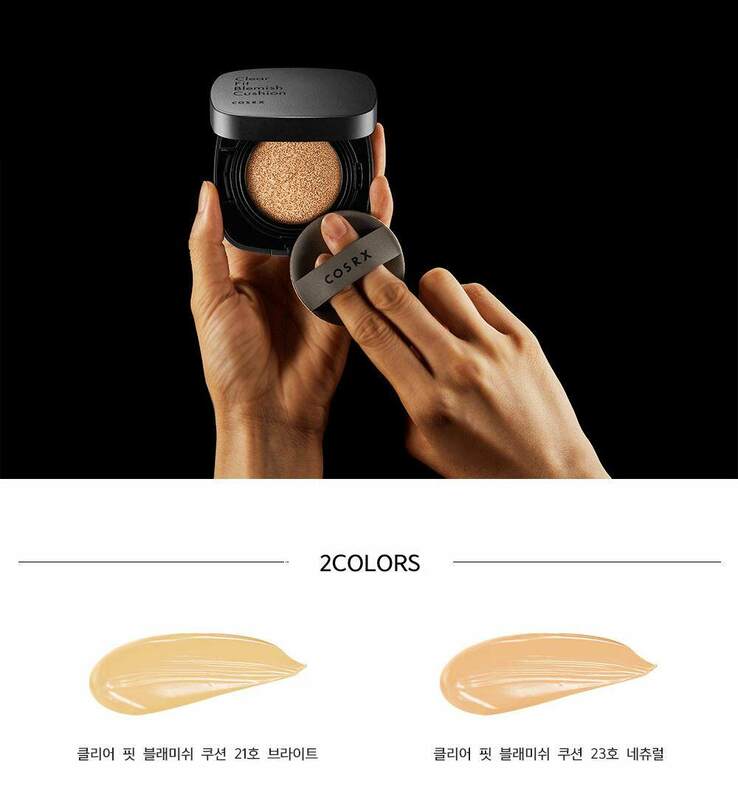 - 21 Bright Beige vs 23 Natural Beige: 21 Bright Beige has a neutral-to-warm undertone while 23 Natural Beige has a neutral-to-slightly cooler undertone. - Finish: Fresh, not super dewy or super matte. Long-lasting. At the end of your skincare routine, press on the puff to soak up a desired amount of the content and apply using a tapping motion all around the face. After each use, be sure to keep the compact closed.